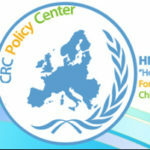 Vasiliki Plainou joined "Hope For Children" CRC Policy Center as a Child Development Officer in November 2017. She studied at School of Philosophy, Department of History and Archaeology, at University of Ioannina in Greece and completed her postgraduate studies at the University of Rome Roma Tre in Methodology and Special Education for the Inclusion of Children with Disabilities. She also has the Writing & Reading of the Greek Braille language. Finally, she is also attending EUROLTA (European Certificate in Language Teaching to Adults). 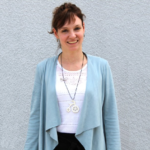 Since 2008, Vasiliki has worked as philologist in private schools, special pedagogue in public schools and teacher of Greek as a foreign language.